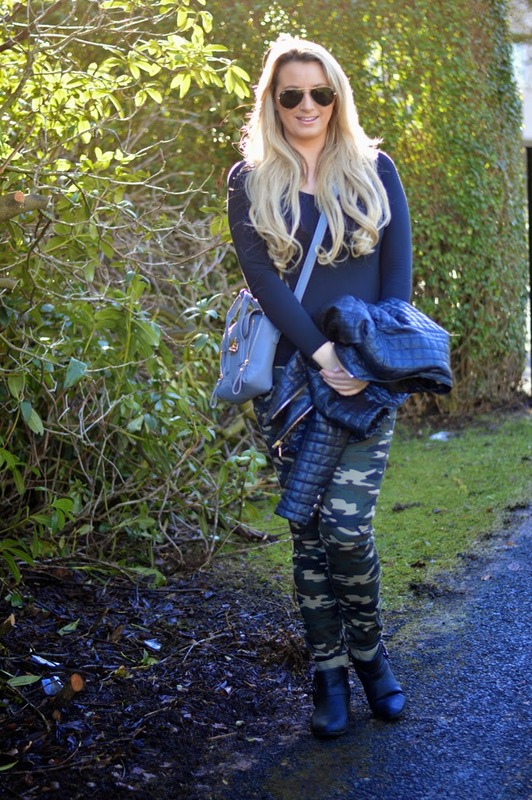 This week's styled up link-up focuses on camouflage prints and the military trend. Camouflage is one of my favourite prints and I am thrilled to see that the khaki/military trend is back for Spring/Summer 15. This season I am hoping to invest in a camouflage coat and another pair of camouflage jeans - possibly grey camouflage. I styled my camouflage jeans with some basic black pieces for a casual and comfortable outfit. It's still nippy here in Scotland so a jacket was a must. Link-ups are a great way to capture new readers but also discover new blogs to add to your follow lists. All bloggers will be able to submit their posts using the InLinkz widget below every Monday at 6am GMT. I like your cool casual look. Thanks for hosting this great link up! I need some Camo Pants. They are in my to-buy list. Love the simple way you styled these, Laura. Thanks for hosting & Happy Monday! Great take on camou! Your dog is too cute! Great look! I'm always looking for inspirations to wear my camo pants.Your dog is adorable! I how you added the leather jacket with your camo. So cool! Love that jacket! That dog is the cutest! Love how added the touch of camo via those pants - so adorable & your dog is so cute!! I am a big fan of camo and great mix with your leather jacket. Is that your dog? He's such a teddy bear! I love the camo pants. Cute outfit. Making camo girly! Camo is one of my favorite prints! Love the way you styled it here!